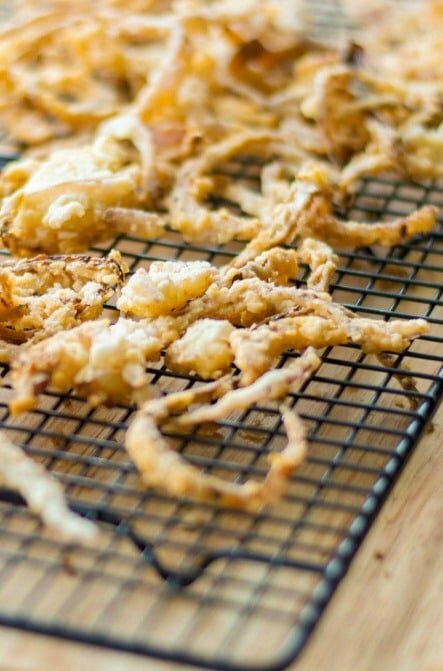 Top your favorite steak or hamburger with these crunchy Vanilla Almond Onion Straws made with vanilla almond milk and red onions. My family and I generally don’t eat onion rings. In fact, I think the last time I even ordered them out was several years ago when the kids first wanted to try a Bloomin’ Onion at Outback. I was making some steak on the grill recently and my usual topping would be sautéed mushrooms (like these Mushrooms Vittoria..YUM! ), but when I reached for them, they were starting to go bad. 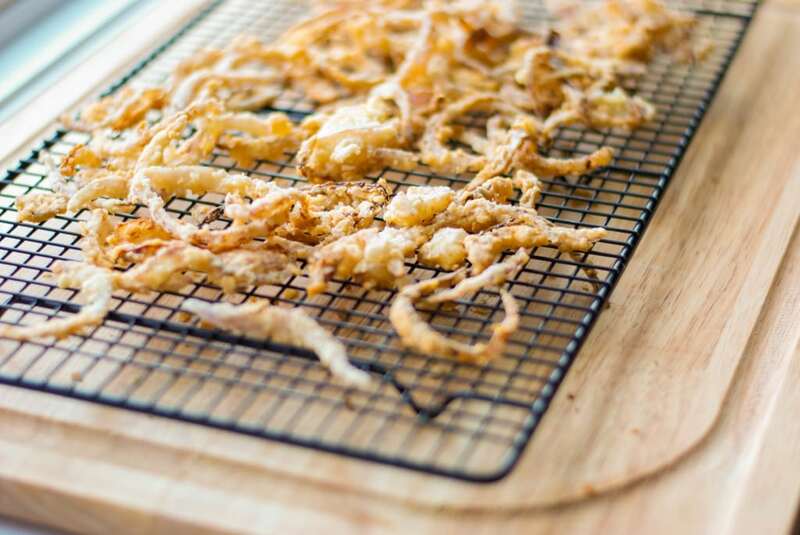 I decided to make these onion straws instead, using up the little bit of Vanilla Almond Milk I had left in the container as well. (I’m in Spring Cleaning mode and wanted to purge my refrigerator who am I kidding?!). I thought they would make a nice topping added to our steak and boy was I right…they were fantastic! It had a little bit of a sweet flavor from the milk and by cutting them thinner, they were super crunchy. These Vanilla Almond Straws are also dairy free and would taste awesome on some thick juicy grilled burgers as well. 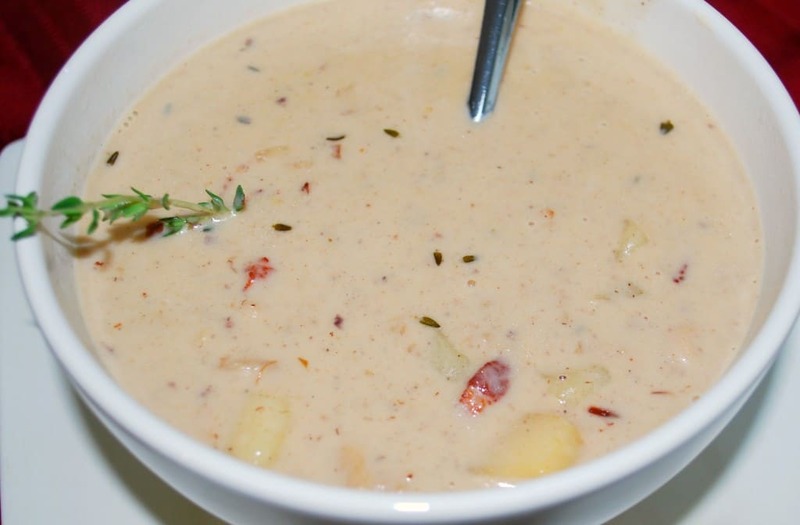 In a bowl, whisk together the almond milk and egg. 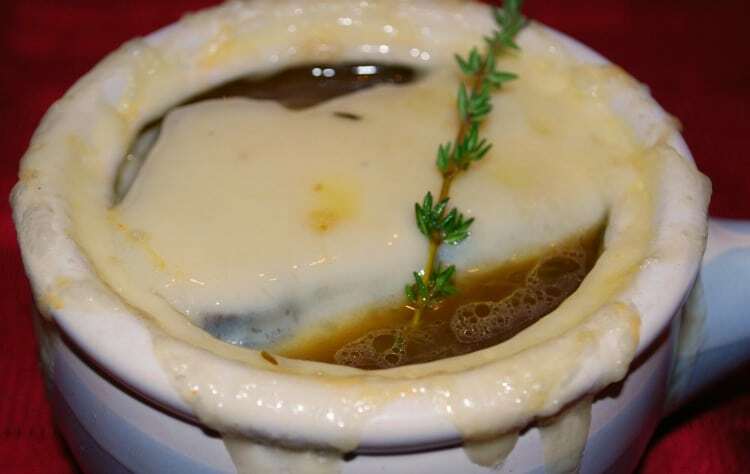 Add the onion rings to the milk mixture and allow to soak fully covered for 15-20 minutes. In a separate bowl, combine the flour, cornstarch and salt. 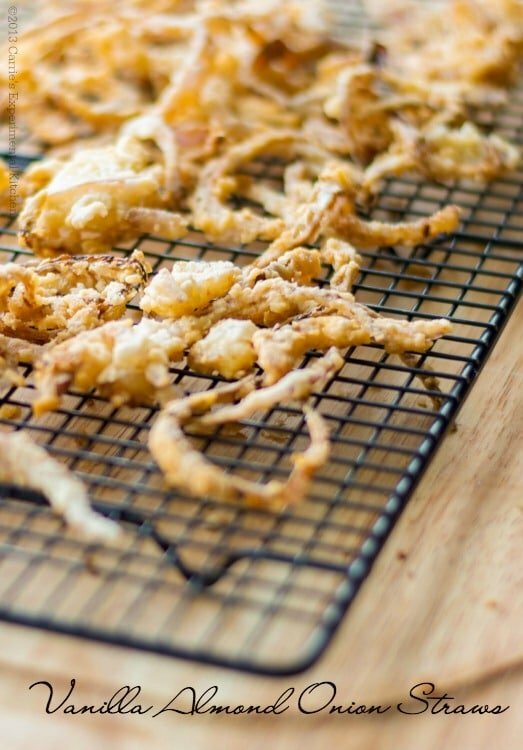 Dip the milk coated onion ring into the flour mixture and set aside until all rings have been coated. Discard the remaining mixture. (You can do this twice if you like your onion rings extra crunchy, but I just did mine once). Heat the oil in a large saute pan. (I used approximately 1/3 cup and a nonstick pan. Just enough to coat the bottom). 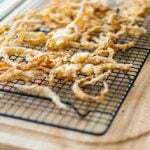 When the oil is hot, add the onion rings and allow them to brown for approximately 4-5 minutes; flipping halfway through. They should be golden brown. 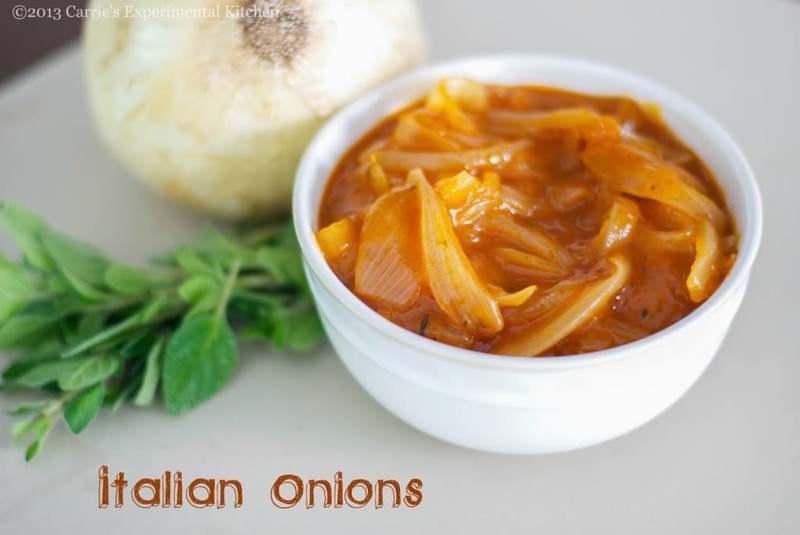 Remove the onions and drain on paper towels to absorb any excess grease. You may need to fry these in two batches depending on the size of your pan.